Located on the shores of the Moray Firth, Fortrose Bay campsite is equipped with all the basic amenities. The ownership of the site changed in 2015 and whilst some of the facilities are old, they are kept in perfect condition.The new owners are currently working to improve the site facilities including the addition of a brand new shower unit. 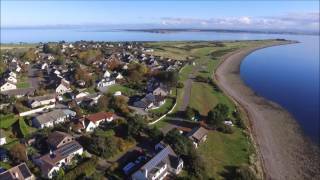 A short walk away is Fortrose village where the facilities include a couple of pubs, a butchers, fish & chip shop, bakers, a couple of cafes and a small supermarket. A short walk from the site is Chanonry Point where both seals, otters & dolphins may be spotted. The campsite is licensed as a seasonal touring site with 50 pitches. Electric Hookups are available (16amps.) The two spotless toilet blocks are fitted with electric razor points and hairdryer sockets. The kitchen and laundry area has sinks and a microwave along with clothes washing and drying facilities. Chemical waste and grey water disposal areas can be found througout the site. Well behaved dogs are welcome. Following the A9 north from Inverness, pass over the Kessock bridge. Take the next right, signposted to Munlochy. Turn right at the crossroads onto the A832 and drive through Avoch. Upon leaving Avoch you enter Fortrose village. Take the second right and follow the road to the sea, the entrance to the campsite is on your right.